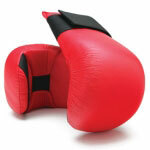 The competition karate punch is made of specially molded vinyl covered foam which ensure effective protection. It features elastic finger loops and velcro wrist wrap. 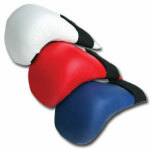 Small 3" - 3 1/4"
X-Large 3 5/8" - 3 7/8"
"Decent prize, great fit and quality. They get the job done!" "Awesome! Great fit, well made! I'd buy them again!"